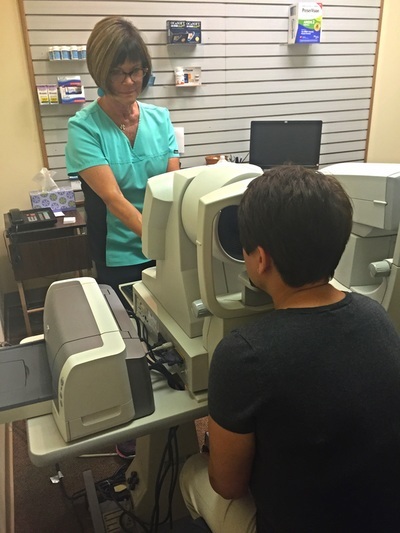 Comprehensive Exams - Warson Optics: Providing Quality Eye Care for Over 30 Years! Annual eye exams are vital to maintaining your vision and overall health. 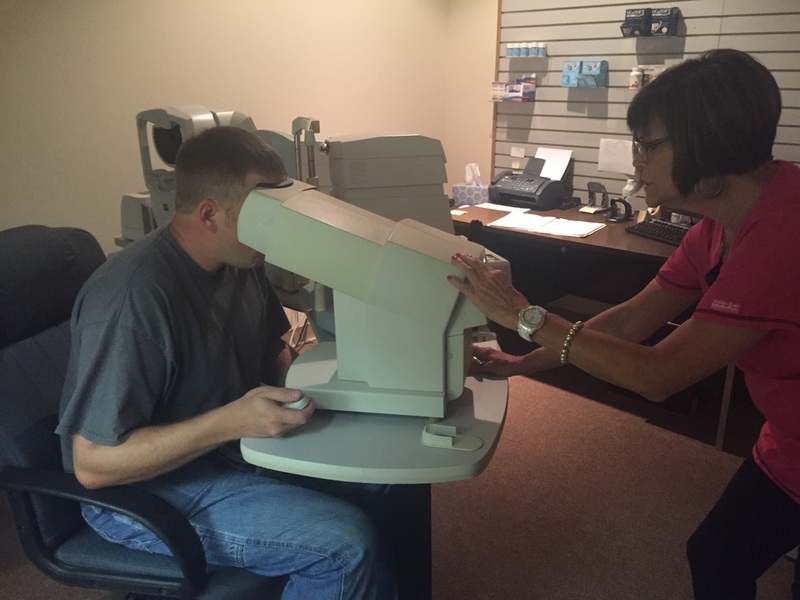 Warson Optics offers comprehensive eye exams to assess all vision care needs. Our thorough exams create a baseline, allowing us to detect changes from year to year in a fast and efficient manner. This makes it easier to diagnose and treat all eye conditions. The automated refraction technique is quick, simple and painless. An auto-refractor is used during an eye exam to provide an objective measurement of a person's refractive error and prescription for glasses or contact lenses. This great tool provides a base-line for the doctor and is particularly useful when dealing with non-communicative people such as young children or those with disabilities. The Non-contact tonometer, or NCT is a instrument that determines the intraocular pressure (IOP), or fluid pressure inside the eye. It is quick and painless and is an integral test in the evaluation of patients with and detection of glaucoma. Instead of checking peripheral vision by counting the doctor's finger off to the side, this highly sophisticated instrument is proven to detect early peripheral vision loss due to glaucoma, stroke and other neurological disorders. The procedure takes only about 40 seconds per eye and is included in all comprehensive exams. The doctors at Warson Optics strongly recommend that any patient over the age of 25 has an annual retinal photography screening. Retinal photographs are visual records which document the ophthalmoscopic appearance of the patient's retina. 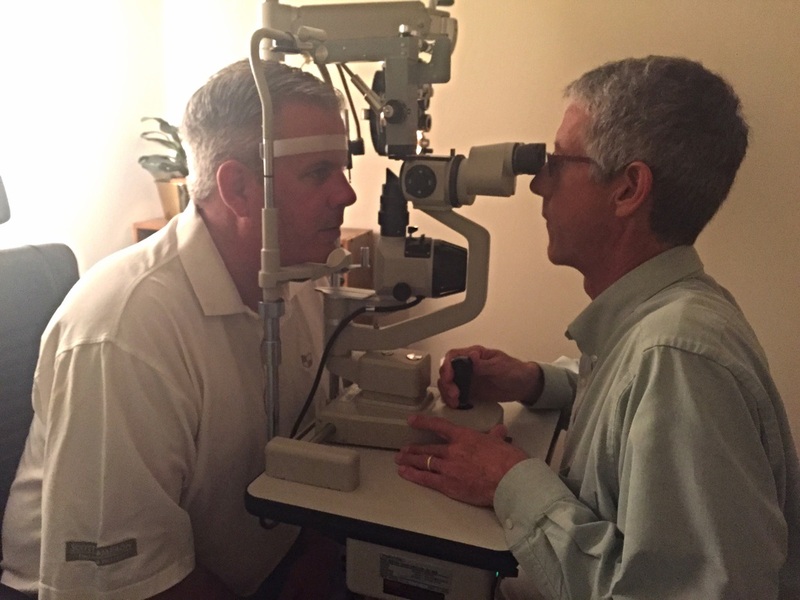 They allow the optometrist to identify retinal changes and to see signs of diseases. These diseases include: diabetes, glaucoma, macular degeneration, detachments, etc. You can see examples of these diseases here.